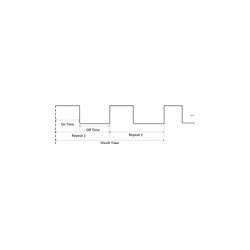 The DSG815 RF signal generator offers standard AM/FM/ØM analog modulation with a maximum frequency 1.5 GHz. Power adapter and quickstart manual. 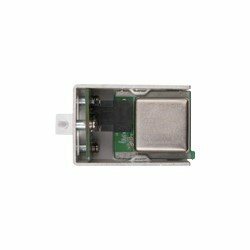 The DSG830 RF signal generator offers standard AM/FM/ØM analog modulation with a maximum frequency 3 GHz. 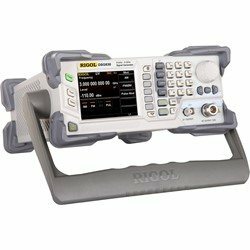 This software-option enables the pulse modulation feature of the DSG800 signal generators. This option is included in the pulse train generator option DSG800-PUG too. With this software-option it is possible to edit a pulse train list. Each pulse train consists of a specified number of pulses with a userdefineable on- and off-time resulting in a pulse train dwell time. Multiple pulse trains can be added to this list to form special pulse sequence. This option already includes the option for the pulse modulation feature. This hardware option adds a temperature controlled, oven heated and highly stable 10 MHz reference clock to the DSG800 devices. With this option the temperature stability rises from < 2 parts per million to < 5 parts per billion.